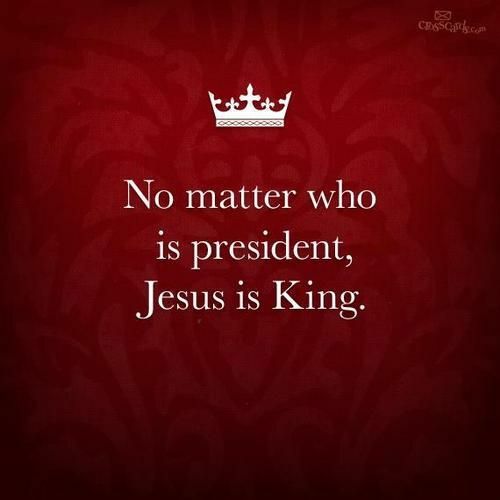 Walking with Jesus: Special Post: Election Day 2016 - Romans 13 & 1 Timothy 2:1-8 - How Should We Relate to Our Government? Special Post: Election Day 2016 - Romans 13 & 1 Timothy 2:1-8 - How Should We Relate to Our Government? The regular schedule of reading in the Gospels and the Psalms will resume tomorrow, which will be numbered Day 193: John 18:28-40; Psalm 76. Today, we are taking time to think about how Christians are called to relate to our governments. How Should We Relate to Our Government? First, for some background: When Paul wrote his letter to the Romans and his first letter to Timothy, he was a citizen of the Roman Empire, having been born in Tarsus, a city which had the birthright of Roman citizenship. The emperor of Rome was Nero Claudius Caesar Augustus Germanicus, better known to history as simply Nero. Nero was not a Christian, nor was he a virtuous man. He persecuted Christians violently after a fire destroyed much of Rome in the year 64; during this persecution, he executed Paul by beheading and Peter by having him crucified upside-down. Later, in the year 68, Nero committed suicide at the age of 30. While Paul was a Roman citizen, the Roman Empire was not a democracy and he was not responsible for voting in emperor elections. Thus, voting itself is not addressed in Paul's letters, but instead he addresses how we should relate to the governments we have. Nevertheless, we who do have the right to vote and have been given greater participation in our earthly governments can learn much from Paul about how we should relate to our governments, including how we should vote. 1. We should obey and submit to our governing authorities, especially when they are pursuing their God-ordained purpose. Governing authorities are instituted by God to keep peace, punish evil and promote justice. We should vigorously participate in the processes of government to encourage them toward that end, and then we should support them when they are pursuing God-ordained good purposes. This doesn't mean we should disobey them whenever we disagree with them. No one is perfect, and we will not always agree with our governments about the right way to keep peace, punish evil and promote justice. We should still support and obey them, unless the government is clearly doing evil or requiring us to do evil. In those cases, the Bible gives us examples of civil disobedience. 2. We should pay taxes. Governments have a right to collect taxes to do what they need to do. We cannot withhold our taxes simply because we disagree with certain things the government does or how it spends the tax money we pay. Rome didn't use its tax money for only just and righteous causes. Part of the tax money was used to build coliseums and support gladiator death-matches. Still, Paul says clearly that Christians should pay their taxes. 3. Give the honor that is due to the office that God has appointed. If God has put someone in an office of authority, we should render proper honor to that person. This doesn't mean we can't criticize, disagree, petition, lobby or campaign against the policies or practices of the office-holder, but we must seek to uphold the dignity and respect due to the office of authority. 4. Pray for the government. 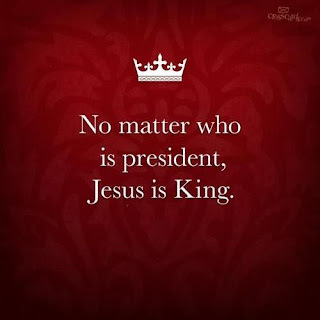 Christians should be praying daily for our president, the Supreme Count, our Congress, governors, mayors, etc. Paul specifically calls for these kinds of prayers by Christians, even in our gathered worship. So vote your conscience as an act of love to your neighbor in wanting the best leadership for them. But don't let your voting choice be an excuse for failing to keep God's clear commands to love your neighbor as yourself, in all of the ways Paul specifies.